If you have never been to a naturopath, or are new to the naturopathic world, you may be unfamiliar with how we treat. The main modalities I practice are Herbal medicine, and Nutrition. Both are wonderful and effective entities in themselves, but when used therapeutically together, they can be outstanding in their effect on people, helping them to become well. 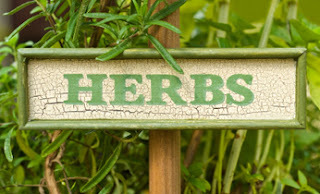 Herbal medicine is under utilised by our largely Western society in Australia. However, from a world-wide point of view, the majority of medicine taken around the world are herbal remedies. Herbal medicine is not a primitive form of treating that has been superseded by modern medicine. It still has relevance and so much to offer to people in the 21st century. It is my wish that more people are going to learn about and turn to herb medicine. The 'world of the weed' has so much to offer! Some of the herbs I use in my dispensary would have been familiar to, and used by the Greeks and Chinese 3000 years ago. This is exciting. Remedies would not be handed down over thousands of years if they weren't effective. Our ancestors had a different concept of illness than today's modern medicine. Back then they viewed diseases as imbalances to be corrected, rather than invasions to be attacked. Herbal remedies were used to adjust patterns of disorder, and gently nudge a body back to health. 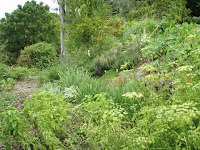 One of the most wonderful things about the herbal world is that herbs behave as more than just an assembly of chemicals. Whereas many drugs are used for only one action on a specific disease state, many herbs can be used across different body systems, and have multiple actions. I may be a bit biased, but I think that's tremendously exciting. I am going to run an occasional series on some of the more common herbs that I have in my dispensary, so that you can get a sense of just how amazing these common plants, or weeds are.